The book of Judges has this uber sad story about a man named Jeptha who says something without thinking it through. It is a story that makes you think carefully about how your words will land on people’s ears and hearts. Two weeks ago, as my father-in-law was nearing death, I thought that the words he spoke about his desires for his own funeral may have been Jeptha words spoken in haste or for effect. I didn’t think he meant it literally. But my husband is a dutiful and very literal son, so he did everything he could to complete every single thing on his dad’s list. My father-in-law, Dillon, said he wanted to “be buried in a plain pine box.” So Chip went to work building a pine casket. He said he wanted to be buried in his bright orange gym shorts from high school. So under his dress clothes, he is showing his Tiger pride. He said he wanted Chip to preach his funeral. So Chip preached his funeral. I doubt he imagined that his son would build his casket for him. I doubt he thought Chip would agonize and weep over his computer as he typed. I wonder if he had any idea that the weeks surrounding his death would be some of the hardest weeks in his kid’s lives. But maybe he did know. Maybe he knew that it was going to be tough and that his kids building a casket together and caring for him in his last days and writing a eulogy would help them. Maybe he knew that building a casket would give his children something to do to honor him with work. Maybe he knew that writing that eulogy would help his son work through his grief and process it in a way that is very natural for a preacher. I don’t know for certain, but one thing I do know. Below is the actual text from the sermon. He doesn’t normally type out his sermons word for word, but this was a pretty unique situation. This week I have been asked many times how I am going to be able to preach my dad’s funeral. And, while I have quite a bit of experience preaching funerals, this is a rather unique occasion. This is a sermon I will only preach once, so I really want to get this right. So, I consulted an expert. 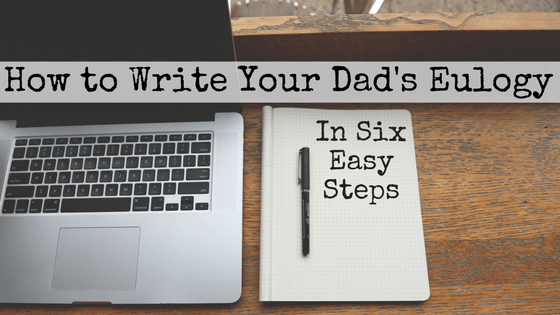 This week I googled ‘how to write your dad’s eulogy’ and came up pretty empty. So instead I looked up ‘how to prepare a eulogy’. This is what I found. Do you think that a serious or humorous speech would be more appropriate? 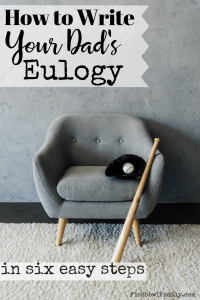 Remember, the purpose of the eulogy is to talk about the person who has passed in a way that accurately shows what his or her life was like. After considering my dad I realized that I needed to talk about family and faith and if I’m going to be true to him it should be funny. And if it is going to be a reflection of my relationship to him it should be instructive because he taught me much. It is important to begin your presentation by telling the audience who you are and how you are connected to the deceased. Crud. I really should have reordered these from how they were online. OK. Let me start over. I am Dillon Anthony, second of my name, called Chip by most, Chipper by some, and Son by two but now only one. I am here today to say some good words about the man who was my dad, Dillon Anthony. It is doubtful that I will bring anything to light about my dad today that has not already been shared on social media, spoken about around our dinner table, or complained about in the teacher’s lounge at Texas High in the early 1960s. But if you will indulge me, I’d like to give you my version which is based on what he told me, second hand, what I saw, and what I believe. Touch on a few key points, such as what his family life was like, what his career achievements were, and what hobbies and interests mattered the most to him. In 72 years of life, my dad was a caring brother to two sisters and two brothers, a hard-working father to three daughters and one son, a carpenter, a realtor, a skating rink manager, a grocer, a snow cone truck driver, a church bus driver, friend to many, a dog owner/gravedigger, and husband to one wife. Imagine a stranger was listening to your speech. How would you talk about the deceased in a way that they could understand his life? My dad started life as the youngest of five children in a little town in Louisiana. He was named either after the doctor who delivered him, the marshall on Gunsmoke, or the family dog, depending on which story he felt like telling you. He spent most of his youth following his brothers around while they tried to lose him. He also made friends that he would keep for a lifetime. They fished and swam and jumped on the train and rode it into downtown to watch movies at the paramount. He got interested in sports. He played football and basketball and made more lifelong friends. He broke his nose playing football. He got kicked off the basketball team for calling Coach Kirtley by his first name. I’m not going to say his name, because Coach Kirtley still scares me a little bit. He played for the Tigers. He sang in a musical. He played for the Titans. He went to Texarkana College. 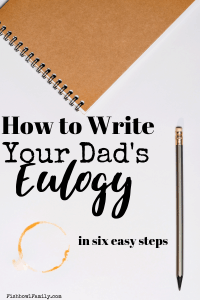 This post, How to Write Your Dad’s Eulogy in Six Easy Steps, contains affiliate links for your convenience. 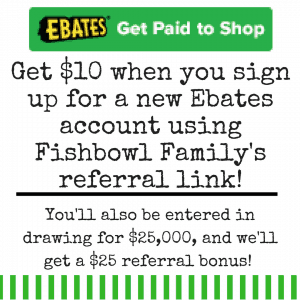 This means that if you make a purchase using our links we will receive compensation at no additional cost to you. You can read our full disclosure policy here. They married. They made more lifelong friends. They had a girl and another girl and another girl. And although he wanted a boy each time, he later admitted that I came at the right time and he was glad for his girls. He worked somewhere and did something. They watched Little House on the Prairie even though it often made him cry. He cried because he understood Charles Ingalls. He understood what it was like to be the father of three little girls in a little house. He knew the joy of their love and the sadness at their growing up. No man knows love like a husband and father of three girls. It’s the sort of love that surrounds you like too big armor. It makes you feel invincible and vulnerable all at once. Nothing can penetrate it because no matter what happens at work or with friends nothing can really hurt you. You get to go home to a wife and little girls who love you and see you as a hero no matter what. But behind that armor, you know that you don’t deserve it. You feel their love should go to some greater man. They should lavish their songs and drawings and hugs and kisses on some other man, but they don’t. They place the extravagant blessing of their love on your shoulders and you dedicate yourself to being worthy of it. No man knows love like a husband and father of three girls. I don’t know if any man has ever been so dearly loved as my dad was and is and always will be loved by my mom and sisters. He worked at some places and moved to Arkansas and Oklahoma where the wind comes roaring down the plains. That’s not just a song. The wind literally roars down the plains, through your clothes, and right to your bones. So they came back to Texas, this time Wake Village. They went camping and rode bikes. They decorated the yard for Halloween, but he didn’t put the principal’s name on that sign. Somebody else did that. He wrestled on the floor and tickled bellies when it was tickle time and grew a mustache. He went to softball games and football games. He wore tall socks and short orange shorts. He had a son and built a house. He sold houses and he wore shirts with long pointy collars. He bought and lost sunglasses. He drove a church bus all over town. He handed out Dum Dums and told kids about Jesus. He opened a skating rink. He handed out skates and told kids about Jesus. Some of those kids listened. 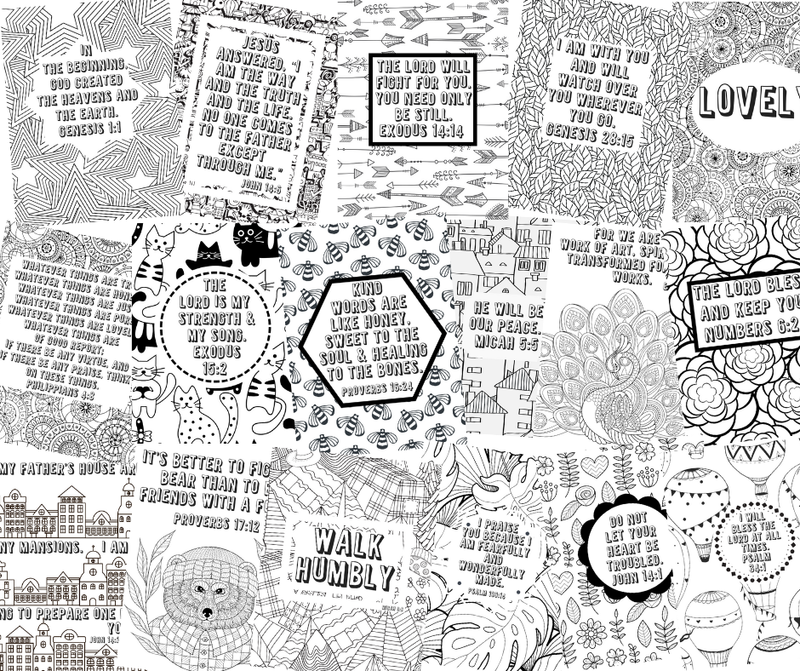 Some of those kids wrote beautiful things about his heart online this week. Some of them would treat him like a father for the rest of his life. Some were deeply saddened at his passing, and I’m sure some were anxiously waiting to welcome him home on Thursday. He wore t-shirts and blue jeans with paint stains on them. He taught kids to drive. He posed for pictures with his pretty girls in pretty dresses. He ate popcorn, drank RC Cola and watched Star Trek the Next Generation. He worked on old trucks. He wore one wind suit one time, and we will never forget it. Some for weeks a few for years. He loved them and played with them and buried them. If my dad had used words like soul mate I’m sure he would have said that my mom was his, but sometimes you would have thought that his was a German Shepherd dog. He employed young men. He taught them how to repair and build things and how to treat little old ladies. He showed them how to paint and drywall and be the sort of men they wanted to be. His wife gave birth to one boy, but he was a dad to many sons. He walked his girls down aisles and gave them away. And he never got a single one returned. Which was good because he explained his return policy very clearly. If you took one of his girls, you could not bring her back. You could, however, exchange her for him. You bring her back – you take him home. Amazingly, each of his girls found men that met with his approval. He cheered as they got jobs and changed careers. He prayed for them in their trials and troubles. These men loved his girls and he loved all three of them for it. He was glad to know his girls were with these men. Although I’m not sure he ever told them, he told me, and he told me that I should try to be like them. He welcomed a daughter in law into his family and he loved her. He treated her like one of his own girls. He gave her a hard time but would do anything to help her just like one of his girls. He gave her a gun when she moved out on her own just like one of his girls. (When I moved out on my own he gave me a VHS copy of Chuck Norris’ Delta Force and said, “That’s all you need to know.”) He helped get babies rooms ready and he cooked breakfast. That man could scramble an egg. When her dad died, he hugged her and cried and helped take care of her. He watched his kids build families of their own. They had a girl, then a boy, then another boy then another and another, then girl, girl, boy, boy, girl, boy, girl, adopt a boy, have a boy, girl, boy. He was a grandpa and even a great-grandpa. He cuddled them as babies, tickled them as children, teased them as teenagers, and loved them all the time. He watched them grow up and fall in love. He saw their hearts break. He saw them marry people that they loved. So he loved them too, and he welcomed them into his family. He watched some start families of their own. Some he will have to watch grow up from the distant shore of that undiscovered country. He slowed down. He wore sweatpants and zip-up sweatshirts. He drove an old truck to an old donut shop to meet with old men. They ate donuts and bemoaned their blood sugar. They told stories of the past and cared for each other through the present. He watched Sharknado. He depended on his wife as never before. She was a rock for him. No matter how much illness and change and confusion shook the world around them, he could always take refuge in her. Draw upon the beliefs and loves of the decedent to give comfort to the ones they have left behind. My dad was a great dad. He was a great mentor. He was a great friend. He was a great husband. That became very obvious in the last weeks of his life as a constant stream of family and friends came to see him one last time, and as his children came together to care for him in his last days. While he was great in these roles, he wouldn’t know what to think about the charge that is most often leveled against him. As many times as he heard it, he never agreed when someone said he was a good man. To my dad, there was only one good man, that man’s name was Jesus. I believe that my dad is in heaven today, but that isn’t because he was a good man. If his eternity rested on his goodness, then my dad would be in hell. His eternal destination (and mine and yours) does not have to rest on our goodness. It can rest on Christ Jesus goodness. The righteousness of God was displayed in the life of Christ and through his death, it is applied to His children. The message that my dad loved was that it doesn’t matter who your parents are, where you were born or how you were raised, you have a heavenly Father that loves you enough to give his son for you. I would be remiss this morning and my dad would be mad if I did not take this opportunity to tell you that my dad will not be coming back to us, but you can go to the place he has gone. If you don’t know the way to reach that eternal life, I pray that you will grab me or one of these other preachers or one of my sisters and let us tell you more about our heavenly Father. Well said, good and faithful servant.